Basketball Manitoba has posted and contacted all clinic attendees by email with links and passwords to the videos of all presentations taken at the clinic. Only those in attendance at the clinic will get access to the videos with them being made public in January 2016. If you attended the clinic but did not receive the email to access the videos, please contact Adam Wedlake for access. Canada's largest basketball coaches clinic wrapped up on Saturday at the University of Manitoba Investors Group Athletics Centre with a total of 275 basketball coaches attending over the 2 days. Congratulations to Jay Primeau of Saskatoon (pictured to the left with Basketball Manitoba's Adam Wedlake) for winning the coaches trip to Las Vegas next May! Ryan Diehl from Glenboro took home the Team Prize pack (pictured below with Butch Carter) which included a set of Wilson basketballs, Wesmen and Bison season passes, Basketball Manitoba shirts, coaching resources and more. Presenting at this year's clinic were headliners Drew Hanlen of St. Louis, MO and Butch Carter of Toronto. Joining Drew and Butch were local university coaches Kirby Schepp, Tanya McKay and Adam Friesen of Fraser Valley. All sessions were video recorded and will be made available exclusively to all clinic attendees in the next 10 days. The videos will then be made public to all in the New Year. The clinic attendees will be receiving an email and passwords in the next 10 days on where the clinic videos and other documents can be accessed. This weekend also saw the Pure Sweat Basketball Camps hosted by Drew Hanlen to a sold out 50 local players at Glenlawn Collegiate. Thank you to Bryan Kornberger for the support of the Pure Sweat Camp. Members of the Manitoba Centre for Performance Program were on hand both days of the Super Coaches Clinic as on court demonstrators who did a fantastic job working with the presenters and Basketball Manitoba would like to thank all program members! Basketball Manitoba would like to thank all clinic attendees for being with us all weekend and we hope you are able to take a number of new ideas back to your programs this season! 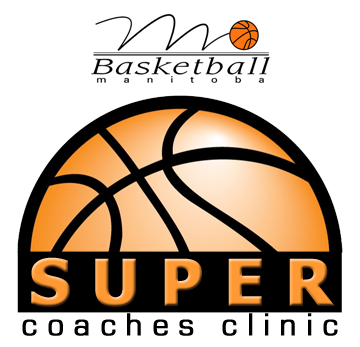 Full information on the clinic can be found at http://superclinic.basketballmanitoba.ca. We will be back in October 2016 at the University of Winnipeg!